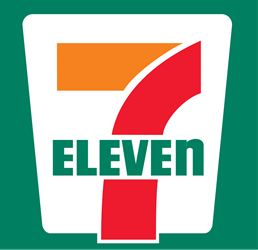 The 7-Eleven Convenience Stores concentrated in Central Oklahoma are independently owned. The company desired a wireless LAN in each of its convenience stores to enable employees to use wireless handheld scanning devices to deliver data to a Retalix inventory control and Demand AnalytX (DAX) system. The DAX system enables the stores’ inventories, especially the most expensive items, to be carefully monitored and adjusted, streamlining operations and saving dollars. The company manages its convenience stores from its corporate office in Oklahoma City. To avoid needlessly burdening the IT staff, ease of network management was one of the primary wireless LAN selection criteria. As a retail organization, security was an equally important requirement. While inventory information, and not credit card information, is the only data that transits the wireless LAN, the company wanted to comply with the Payment Card Industry (PCI) requirements for wireless networks as well as to prevent any network intrusion. Finally, the company desired a network with the resiliency to maintain wireless connectivity in the stores even if a WAN link or a management server failed.